As China’s taste for cheese is increasing constantly, the country has faced some new trade policies in recent times. Import tariffs are going to be decreased, while spontaneous import bans lead to uncertainty for exporters of cheese to China. China has recently lowered the import tariff rate on many cheese sorts by 4%, dropping from 12% previously down to 8%. To be more specific, rated and powdered cheese, processed cheese, not grated or powdered and other cheese, traded under different HS codes, will enjoy the 4% lower tariff rate. Blue-veined cheese is even to witness a higher tariff cut, falling from 15% down to 8%. The new tariffs have been coming into effect on December 1, 2017. The country is responding with this measurement to the booming demand for cheese domestically, which can’t be met by domestic production alone currently. After all, China is on a good way to become the largest cheese importer in the coming years ahead. A representative of the Ministry of Finance in China has announced that the tariff reduction is aimed at increasing domestic product supply to better satisfy the people’s demand. The booming demand for cheese in China is caused on the one hand by the steadily growing number of expats and international students in the country, who don’t want to forgo cheese in their nutrition in China. On the other hand, Chinese growing middle class shows also a growing taste for cheese and other dairy products, supported by a large number of foreign restaurants which cook many dishes with cheese. For example, China imported more than USD400 million of cheese in 2016, mostly foreign varieties such as mozzarella destined for use in pizzas. The dislike of strongly flavoured varieties in China means mould-ripened cheese is mostly consumed by foreign residents. The reduction is part of a broader package of tariff cuts on food and consumer goods China announced last week to bolster consumer choice. According to market intelligence firm CCM, the average tariff rate on more than 180 consumer products, including food, healthcare products, medicine, daily necessities, clothing and apparel, household appliances, and more, reduced from 17.3% to 7.7% on December 1, 2017. The new tariffs will likely have a significant effect on the prices in China’s cheese market, leading to more competitive products from different exporters around the world. It especially benefits exporters of those nations, that don’t have a free trade agreement with China yet, like the USA or countries of the European Union. Hence, the largest exporters of dairy products to China, Australia and New Zealand, are still in a competitive advantage over other countries they enjoy duty-free access on a certain quantity of their products and diminishing tariffs for various products. The middle kingdom is on pace to become the largest cheese importer in the world in the coming years. The price of cheese has not really changed significantly during the last years, but with higher competition in China’s market, decreasing prices seem possible. China is the world's fastest-growing market for cheese imports, a trend fueled by increased exposure to Western-style foods. 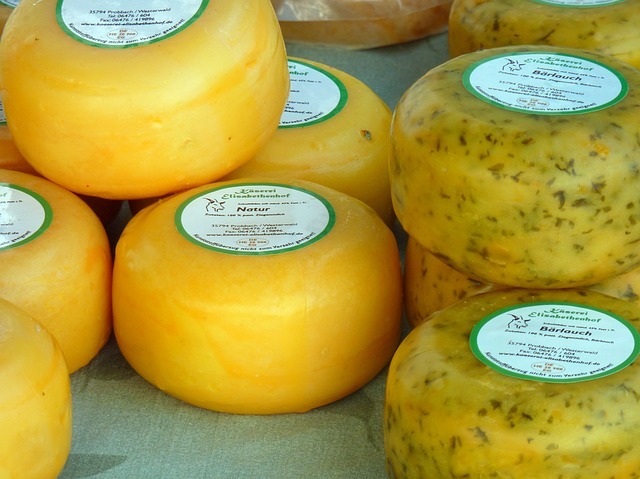 Cheese sales in the country have grown on average by about 30% annually over the past five years, according to data from Mintel. China had banned the import of soft cheese from Europe in early September as a result of finding harmful bacteria in some of the imported cheese. This news was consumed by lots of confusion and irritation for Europe’s cheese exporters as well as Chinese traders because the surprising measurement by the government led to banning famous and traditional European cheeses that have been safely imported and consumed in China for decades. Europe’s officials announced, there would be no good reason for the ban, because China considers the same cheese safe if produced in China. However, China has lifted the ban on imports of the mentioned cheeses, including the very famous cheese sorts brie, gorgonzola, and stilton. The lift of the ban followed talks and meetings between European and Chinese representatives of the cheese industry. However, the European cheese industry is still very concerned about the ban, as it is not the first time that China is banning imports on cheese and such a case could happen likely again in the future, bringing uncertainties for exporters and traders. The industry players are concerned that potentially many other types of cheeses may be affected in the future in the same way. It happened several times in the past, that Chinese authorities will block one type of cheese for a short period of time. For example, in 2014, imports of British cheese were banned complaining about hygiene standards in UK dairy farms. In 2008, Italy’s mozzarella was banned amid concerns it contains harmful dioxin. As a result of the uncertainty in China’s cheese market, the European Union Chamber of Commerce in China previously said efforts were underway to revise China’s national food safety standards for cheese, which are claimed to be too strict compares to international standards. CCM is China’s market intelligence provider for the industries of agriculture, chemicals, and food & feed. If you find this information useful, why not have a look at CCM’s monthly published dairy Newsletter, which covers market news, company dynamics, policy changes, and other newsworthy information on China’s dairy market. .